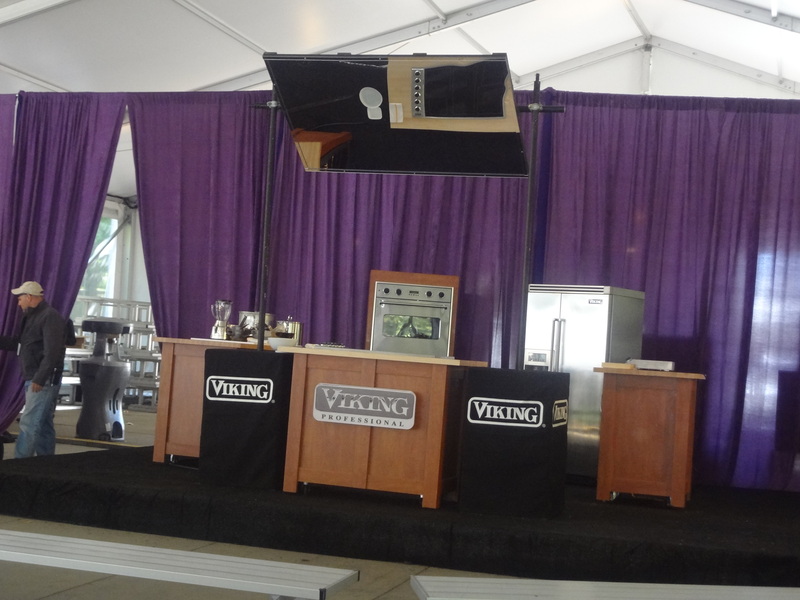 This year I was going to enjoy the event on both Saturday and Sunday so I had the luxury of savoring a little bit more of everything at my slower, small town pace. 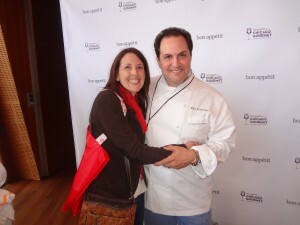 I couldn’t have been more honored than to meet Bon Appetit editor, Adam Rapoport. 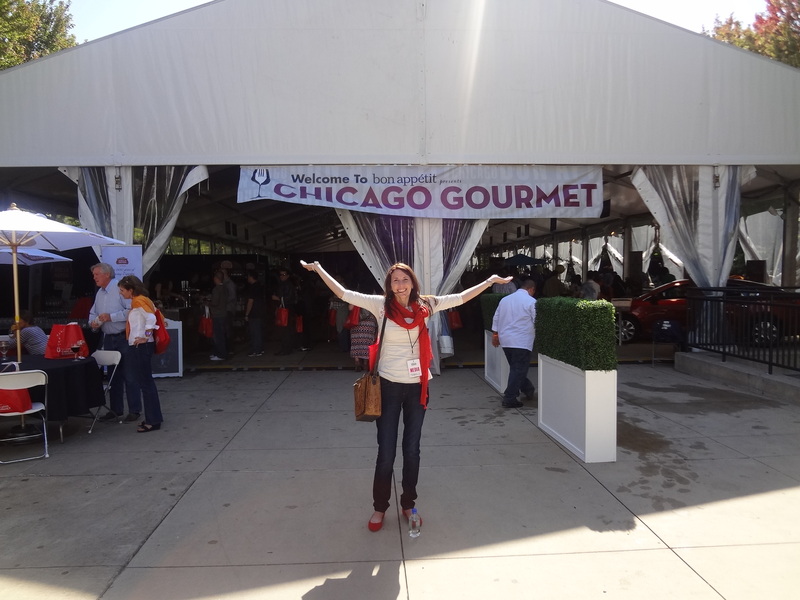 The courageous live cooking demonstrations, brainy book signings and the heart loving Chicagoans kept me from ever wanting to click my little red shoes to go home. Main Stage before the action takes place. My trip would have been incomplete if I didn’t see Rick Tramonto. 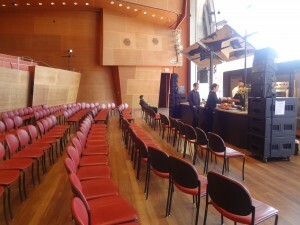 The Culinary Stage could have also been called the Chicago Showcase Stage because it was fun to see our local chefs like Tony Hu (Lao Sze Chuan), Niall Campbell (Firefly Grill) and Meg Colleran Sahs (Terzo Piano at the Art Institute of Chicago) at work. Art Smith was as fun in person as he is on TV. I couldn’t let go of him! In addition to Art Smith’s “Back to the Table: The Reunion of Food and Family,” I purchased Takashi Yagihasi’s book “Takashi’s Noodles” and “Talk with Your Mouth Full” from Chicago’s own Hearty Boys, Steve McDonagh and Dan Smith. 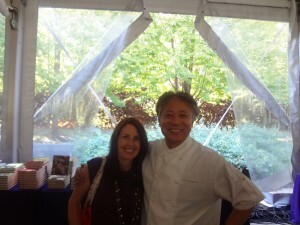 Chef Takashi encouraged me to slurp at the table! 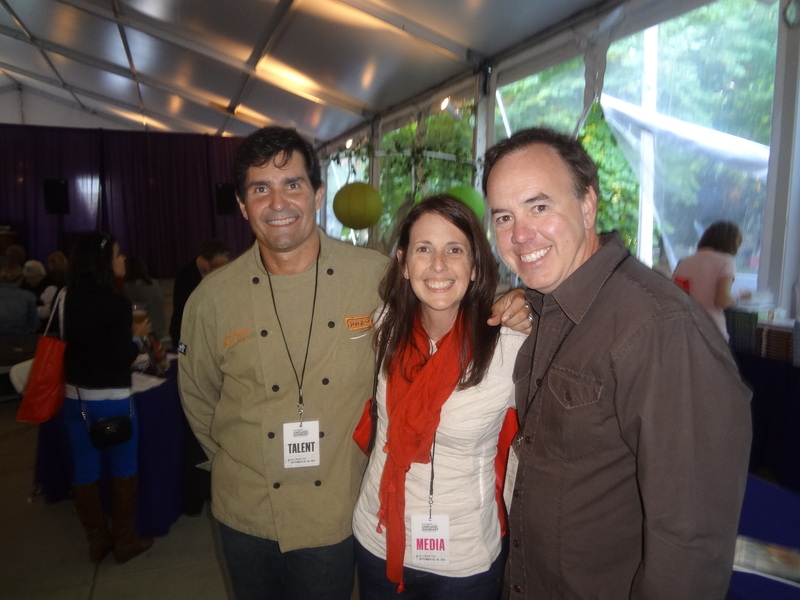 Everyone I met was delightful and made me love them even more after meeting them in person. The truck that had Geoffrey Zakarian’s book on board was highjacked by maniac foodies (not really but I like that story so let’s run with it) so his signing got cancelled. I hope he reschedules for next year. (Hint. Hint.) His book, Town and Country: 150 Recipes for Life Around the Table is available on Amazon…he told me that himself! 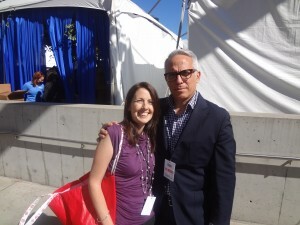 Iron Chef, Geoffrey Zakarian…I am not worthy!!!! 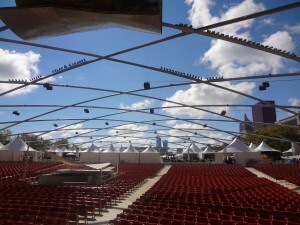 Finally, you can’t have Chicago Gourmet without the heart of Chicago…the people. Quickly becoming one of my favorite parts of the event, I love the time I had to mingle with all the great residents of this city. Tables were shared with families celebrating good news, ladies from LA, girls out for the weekend and golden wedding anniversary couples. 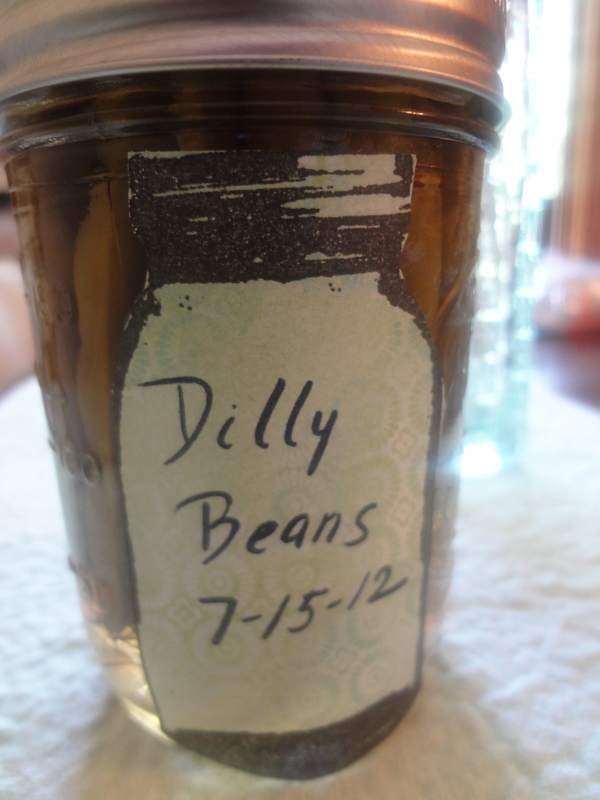 My personal small town adventure was shared with everyone as they made sure that I would go home with a story to tell. Everyone contributed to the merriment and grateful for the time spent with each other on two of the most beautiful days fall could possibly offer. As the weekend closed, my heels were clicked and I made it back to my small town. 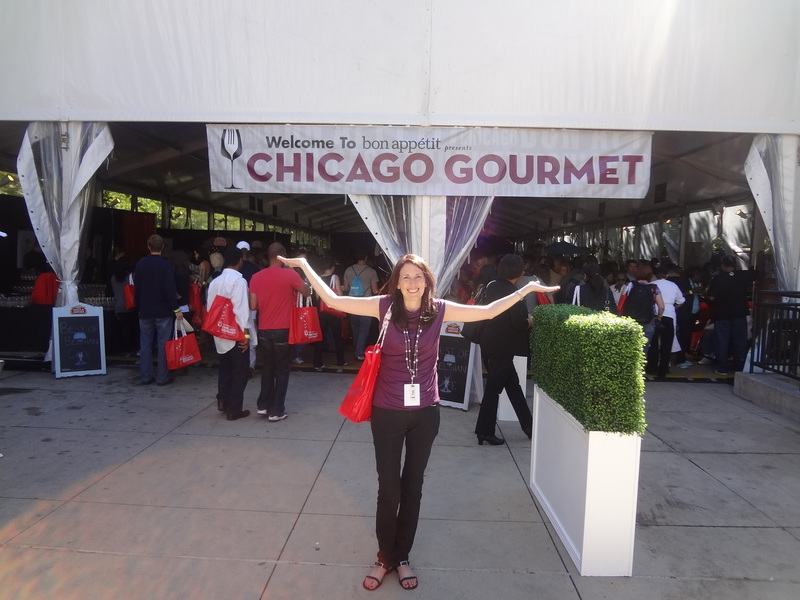 There is no place like home but Chicago Gourmet embraced me like I was one of their own. I Will Write 500 Blogs. 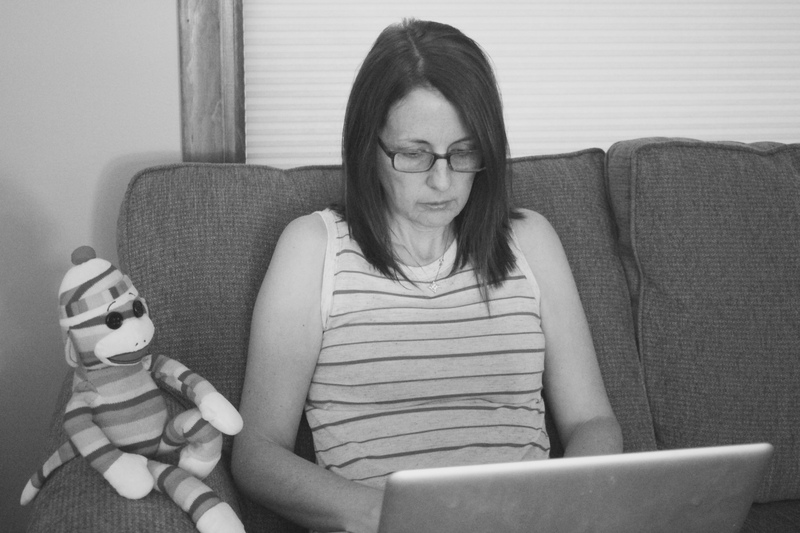 I Will Write 500 More. It was a blast. 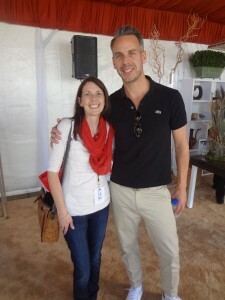 I met so many fun people in the lines. It was just wonderful.